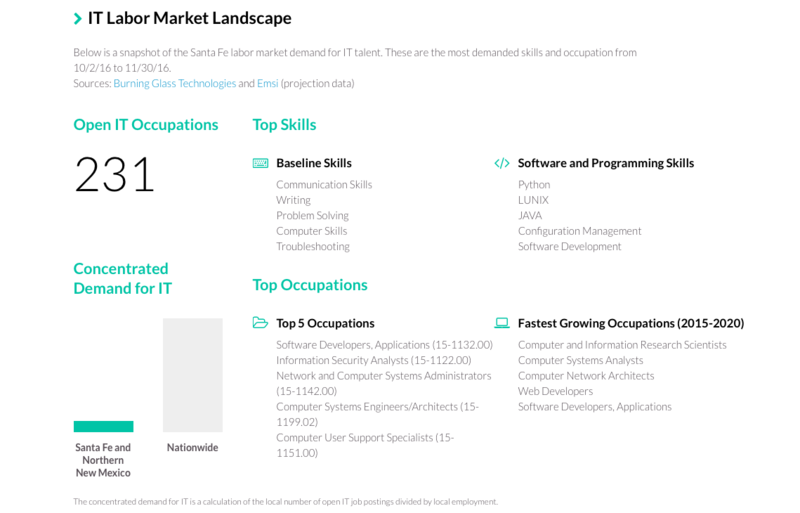 Only 141 computer science graduates in 2015. 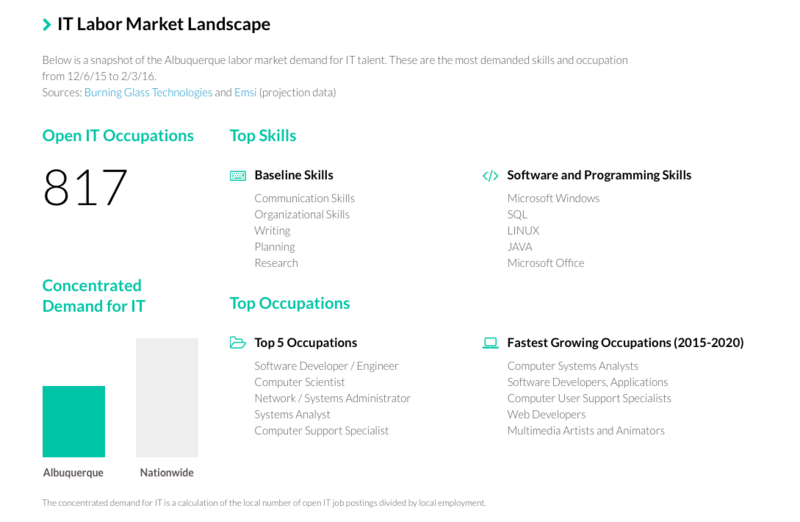 Only 169 high school students in NM took the AP Computer Science exam in 2017. 1 student was Black; 1 student was Native American or Alaska Native; only one student was Native Hawaiian or Pacific Islander. 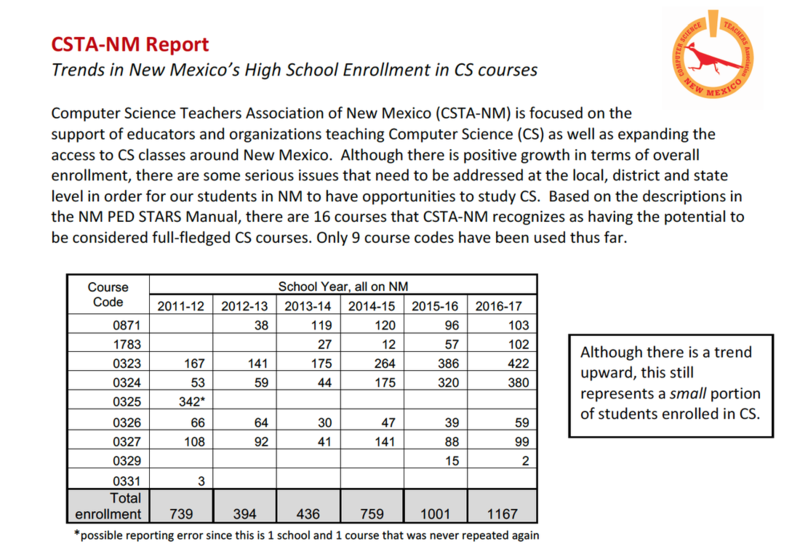 Only 18 schools in NM (14% of NM schools with AP programs) offered the AP Computer Science course in 2016-2017. This information comes from a study done by ACT testing organization. aren't prepared for college in one subject. aren't prepared for college in any subject. 15 million youth are currently enrolled in US high schools. Students report being bored 70% of the time. with higher numbers for students of color, low-income students and boys. 47% of high school seniors haven’t completed the classes they need to be prepared for college or work. because they know college degrees are essential for good jobs. And many end up with debt but no degree. U.S. Department of Education, National Center for Education Statistics, Integrated Postsecondary Education Data System (IPEDS), Spring 2002 through Spring 2013, Winter 2013-14, and Winter 2014-15, Graduation Rates component. And while the postsecondary education levels of US adults now rank 5th in the world, our young adults only rank 11th. Animation Career Review ranked New Mexico State University 49th of the top 100 U.S. schools for animation and game design. The Princeton Review recently ranked the top 10 schools for undergraduate and graduate game design; the University of New Mexico is pegged at 9th. Broadband adoption rates on Tribal Lands is just 32.6%. (From the FCC's 2018 Broadband Deployment Report. "There is a gap between broadband availability and customer subscriptions"
Deming and Gallup are among the half-dozen or so U.S. micropolitan areas (fewer than 50,000 residents) with the lowest income and highest poverty, respectively. Doña Ana, Socorro, Cibola, McKinley, Rio Arriba, Guadalupe, San Miguel, Mora and Harding — most with poverty rates between 26 and 37 percent.